Photo 050. 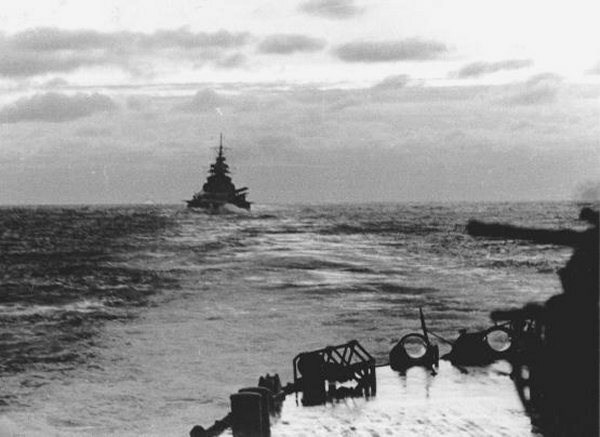 Bismarck as seen from the Prinz Eugen. The Bismarck as seen from the Prinz Eugen in the morning of 24 May after the battle of the Denmark Strait. The German battleship still has her 15-inch guns trained to port.